Legendary heavyweight boxing champion Mike Tyson donned a Papakha, the signature headwear of Russian UFC fighter Khabib Nurmagomedov, during a meeting between the two in Las Vegas, Nevada. Khabib is currently in the US city for his final days of preparation before of his interim UFC lightweight title fight with American Tony Ferguson at UFC 209 on Saturday and met up with ‘Iron Mike’ at his home in nearby Henderson. No cameras were allowed to film the meeting as per Tyson’s request, although the pictures posted by Khabib on social media and shown on the fourth episode of UFC’s ‘UFC 209 Embedded’ vlog series, published Wednesday. They showed Tyson sporting the headwear, which is a traditional symbol of battle for the warriors of the southern Russian Republic of Dagestan, from where Khabib hails. "Papakha represents where I am from. 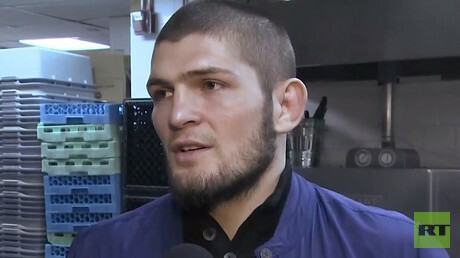 My small hometown in Dagestan," Khabib said when talikng to RT Sport last November. "This is traditional headgear for Dagestan, for Chechnya, for the Caucasus region. And it’s very important for me. Very important." 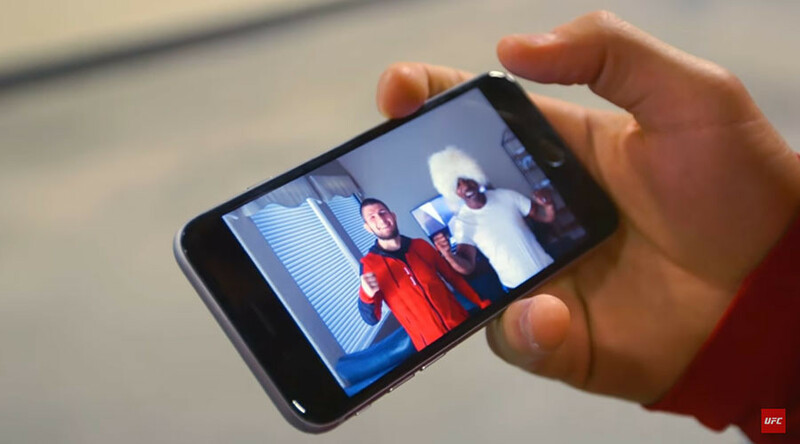 “This is like crazy...Mike Tyson is just Mike Tyson – I have just no comment,” Khabib said of the meeting with the youngest man to ever win the world heavyweight boxing championship. "Today one of my dreams come true, to meet Mike Tyson he invited me to his home. Thank you for the motivation Tyson. Special thanks for my brother who made this," the fighter posted on his Instagram accoutn. So proud was Khabib of the meeting, the unbeaten 24-0 mixed martial artist showed other fighters appearing at UFC at the open workout for the event at the MGM Grand. “I gave a gift to Mike Tyson, American guys call it ‘Papa’ but this is a ‘Papakha’. He’s so happy about this,” Khabib said, showing a video of Tyson roaring at the camera crowned by his new gift. Particularly interested was fellow fighter Rashad Evans, who entertained other fighters with his impression of Tyson’s famous high-pitched lisping voice during a sauna session. Khabib’s fight with No.2-rated lightweight Ferguson at UFC 209 will feature as the show’s chief support to the rematch between UFC welterweight champion Tyron Woodley and Stephen Thompson. “This is the biggest fight in my career,” Nurmagomedov told RT Sport during a Q&A session in New York. Should Khabib win his fight against Ferguson, he will be next in line for brash Irishman Conor ‘The Notorious’ McGregor, who holds the full UFC lightweight championship belt.